Hi, I have a open bag of quinoa that some bugs have gotten into. Rather than throw it out I would like to put it in my worm bin. I understand that you can feed worms grains but was wondering if it needs to be cooked first or can I just sprinkle in the raw grain? 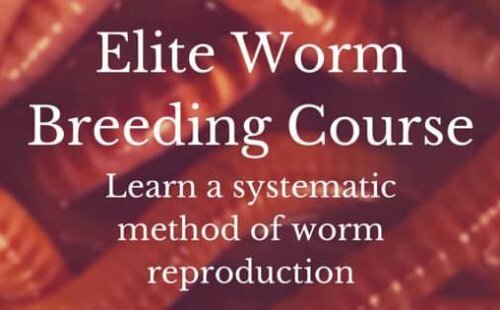 Feeding worms grains is an excellent way to keep your worms fat, dumb and happy. But out of most grains across the world Quinoa (Keen-Wah)is one of the most well balanced and complete foods. It's high in protein, calcium, and iron with a lot of vitamins as well. It is also considered to be a "complete protein". It is not considered your typical starch and with the large portion of worms being made up of proteins, this is a great food for them. So with that being said, I would definitely cook them and then cool them down before feeding it to your worms. 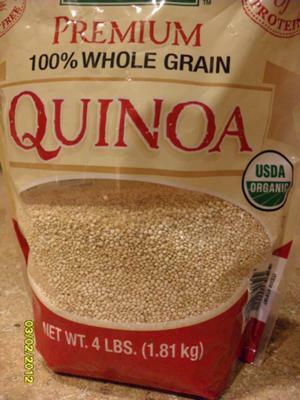 Quinoa comes as a whole grain. Therefore the seed is encased in a protective shell. This allows the seed to germinate and before you know it, you have Quinoa growing out your ears...or your worm bin. 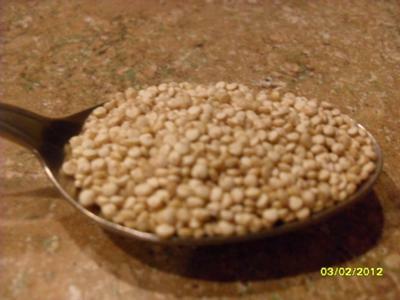 Feed the cooked quinoa or any other grain in moderation and on the side or in one or two different places in the bin. Grains will heat up when decomposing so you need to allow your worms somewhere to go to get away till the food has gone through the Thermophilic process. I not quite sure if you mean filtering before you begin the whole process or filtering the castings afterwards or "straining"
I typically just use a five gallon paint strainer to filter out the worm castings from the aerated worm tea. Now if you are talking about filtering out any chlorine before processing then bubbling the water for 4-8 hours or letting it set out in the sun or waiting until the next day would be advised to assure all the harmful chlorine has evaporated. If you're concerned about fluoride then I believe there are some filters readily purchased on Amazon.